So, here are some further stats for 2015. How did people land on my blog? Clearly, Facebook brought the most traffic, and I’m pretty sure that a big chunk of that came from the Positive Psychology group. 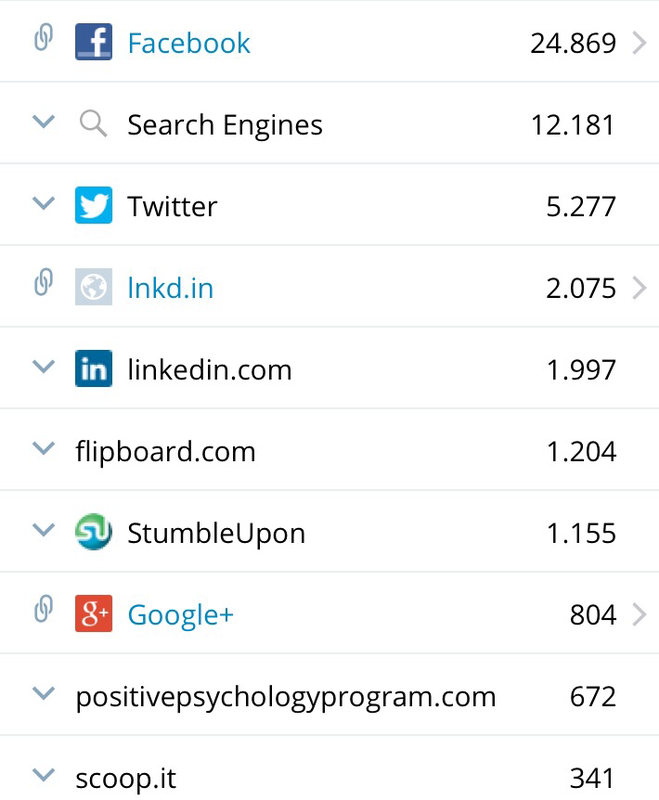 I also would like to thank Seph Fontane Pennock of PositivePsychologyProgram.com for being the only referrer to make the top 10 that’s not a social media site or search engine. 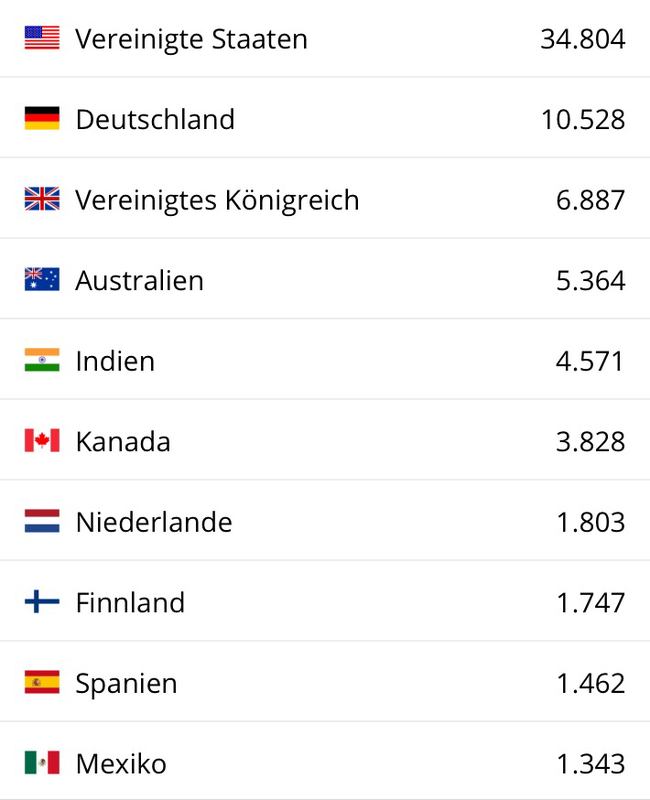 Most of my readers are from the USA, and additionally, some Commonwealth members make up big chunk (UK, Canada, Australia, India). Happy to see that my home country Germany made No. 2 even though the blog is written in a foreign language. 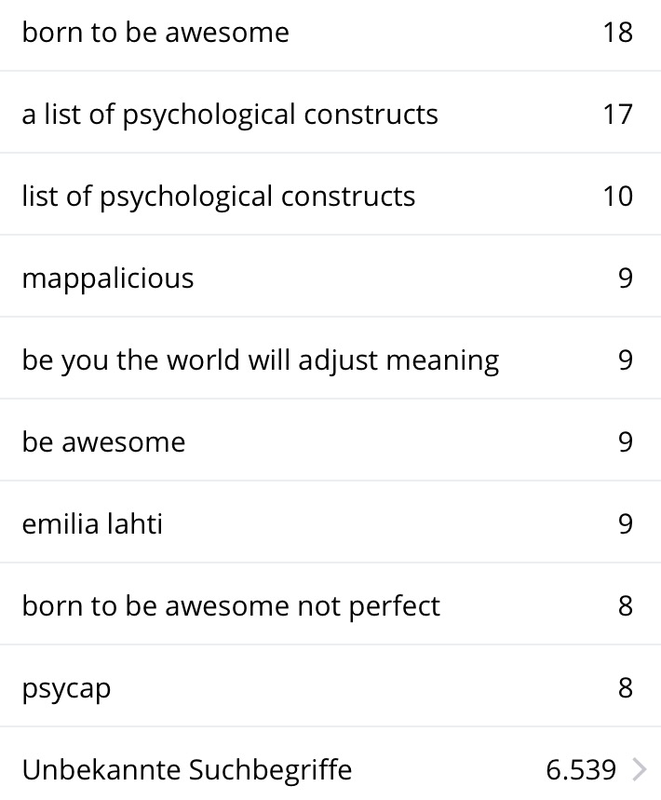 What keywords were my readers searching for? Unfortunately, most search keywords are not disclosed. Other than that, one can see that a lot of people were looking for information on psychological constructs (hopefully, leading them to this page). Really happy to see Emilia Lahti, the Queen of Sisu, making this list. What did people do after visiting Mappalicious?